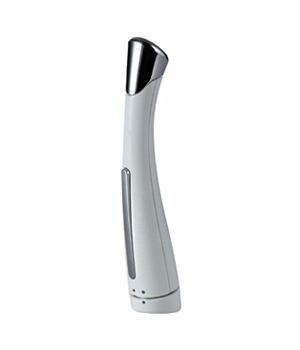 The EZ-Wrinkle massaging device transfers positive ions onto the skin surface. Furthermore the vibrations benefit the skin activity and the blood circulation of the skin. The ultrasound also supports the natural metabolism of the skin. 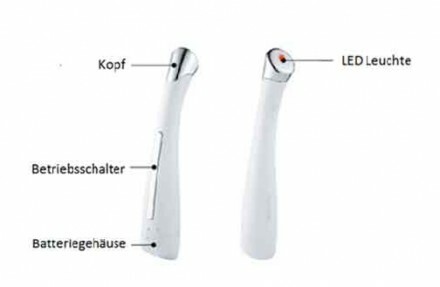 In addition in convinces with an easy usage and a modern design. Many anti wrinkle products transfer the active agents to the micrometer area, but mostly there is only a temporary effect. In the long term it doesn’t help to really improve your skin. 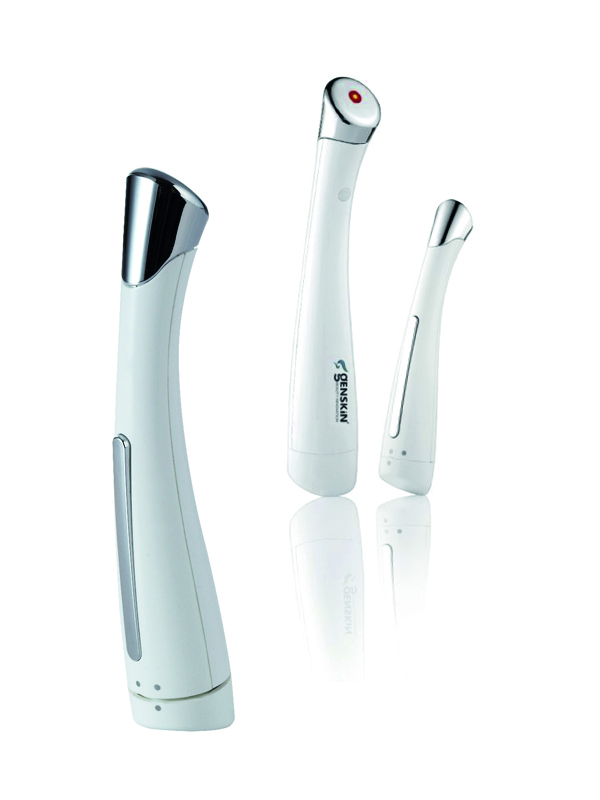 The EZ-Wrinkle massaging device convinces with intensive use and the long-lasting regeneration of collagen and elastin within the dermis. The effect is even more promising when using with skincare products like creams or lotions. Ionen 0,0001 nA Ein bio-physikalisches Verfahren, bei dem ionisierte (elektrisch geladene) Substanzen durch die oberen Hautschichten befördert werden. Hierbei handelt es sich um sehr kleine Impulse welche das Einbringen von Wirkstoffen unterstützen. Vibrationen 8.000/ Minute Eine intensive Massage für die elastischen Fasern der Haut, sowie des Haut- und Unterhautgewebes. Infrarot 630 nm Stimuliert den Zellstoffwechsel; das Lymphsystem und die Haut nehmen Wirkstoffe besser und effektiver auf. Zudem wirkt es beruhigend und stärkt die Abwehrmechanismen der Haut.